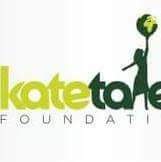 The North Central region wing of the Kate Tales Foundation, a literary non-profit organization last Saturday, May 12, 2018 held the 2018 edition of the “Authors Talk” at the Nasarawa State University, Keffi. This year’s edition focused on teen authorship with participants made up of writers and students of university and secondary schools. Poet Umar Yogiza Jnr discussed the prospects and challenges of teen authorship. He emphasized the role of reading in making a good writer, advising that teens should concentrate on reading widely if they want to be able to write books worth publishing. He lamented the lack of support and encouragement to teen writers by parents and schools. Spoken word poet, Basiru Amuneni, spoke on book publishing. He explained that getting a manuscript published into a book is a long process. He listed the steps to include compiling the writings into manuscripts, finding an editor, and getting a publishing house to publish the book. The Kate Tales Teens club of the Keffi Premier Academy was inaugurated during the event. Members of the club will be mentored on writing over a period at the end of which their writings will be compiled into an anthology and published. The club members received donation of books from the Foundation and the authors Basiru Amuneni and Umar Yogiza Jnr. Guests at the event enjoyed poetry performances from Sani Oji, Ruth Mahogany, Tessy, and Graciano.